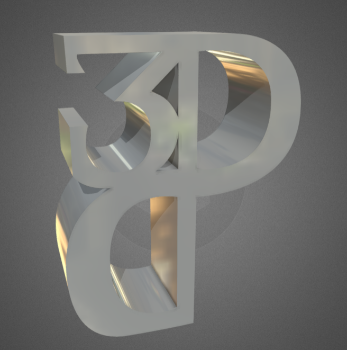 3D ADVERTISING PACKAGES start at $100, and are custom designed to meet your specific needs. Valid for small parts that can be shipped to our Greensboro, NC office for scanning. Must be shipped by USPS (one-size box), UPS, FEDEX, or DHL without special handling. You will receive via file transfer a stereo-lithograph file (.stl (ASCII)) of your part. We do not dissemble and scan as a single file. We will then return your part via pre-paid shipping label provided by you. No 3D solid modeling is included and will be quoted in addition to this turn-key service on a case by case basis, if requested. The more parts you have for us the better the price is for you. After we scan your part, we can create a solid model file from the STL we derive of your part. Since models are dependent on the application, we must know what model type you require. You must provide a credit card at the time of order and you will be charged when your work is complete, unless the project will be over $1000 then a down payment of 20% will be required. MORE THAN SEVERAL PARTS TO SCAN? We can travel with our equipment and can scan at your facilities or we can arrange special handling for large parts that are too large to ship. If you have multiple parts or components to scan, we will be able to provide pricing by the hour or job.